Rarely has a new movie become available at a time when the news made its subject matter timelier and more appropriate. Gosnell: The Trial of America's Biggest Serial Killer is the true story of a doctor who went to prison for life in 2013 for stabbing several infants he had delivered alive inside his hellhole of an abortion clinic in Philadelphia. After being almost completely ignored by critics during its release last year, last week the movie went on sale in Walmart and on Amazon, where it is the No. 1 best-selling dramatic DVD. At the same time, infanticide became a key issue in major stories in Virginia and New York. Last week, Virginia governor Ralph Northam became engulfed in a controversy over whether he had appeared in his medical-school yearbook in costume, either in blackface or in the white sheet and hat of a Ku Klux Klan member. The photo came to light because a medical-school classmate of Northam's was appalled at the governor's candid support for a bill that would remove many restrictions on late-term abortion. While the media outrage was largely directed at his alleged racist actions 35 years ago, the abortion bill was promptly killed in committee, hours after Northam had been overly honest in describing what the bill would allow. A few days before Governor Northam's shocking remarks, New York's new Democratic majorities in the state legislature stood and clapped as they passed the Reproductive Health Act, which removed restrictions on late-term abortions. The law took effect with Governor Andrew Cuomo's signature on January 22. A week later, prosecutors in Queens dropped one of the criminal charges against Anthony Hobson, who stands accused of killing his girlfriend Jennifer Irigoyen, who was 20 weeks pregnant. They had initially included a charge of second-degree abortion (in addition to the murder of Irigoyen) but had to drop it because, as a spokesman for the Queens district attorney noted, the law removes abortion from the state's criminal code and puts it into public-health law. Gosnell director Nick Searcy wrote at TownHall that New York has now legalized almost everything that Gosnell and his aides did in Philadelphia: Gosnell was convicted of killing breathing infants who had already been born. It is now legal in New York to kill an infant who survives an abortion. Gosnell was convicted of allowing untrained and unlicensed medical personnel to perform abortions. It is now legal in New York for non-physicians or any "health professionals" to perform abortions. Gosnell was convicted of performing at least 21 late-term abortions past the legal limit of 24 weeks. It is now legal in New York to terminate a pregnancy up until the due date. In New York, there is no longer any such thing as a "late-term abortion." The movie about Gosnell's crimes is based on a book by Irish-American journalists Phelim McAleer and Ann McElhinney. The screenplay is drawn almost entirely verbatim from the actual grand-jury testimony and Gosnell's eventual trial. "It is a horrible story, not just because Gosnell kept intact, late-stage aborted fetuses in containers but because his clinic was protected by powerful political forces that allowed him to escape detection for years," McAleer told me. "There is nothing that man did illegally for 30 years that protects women and children," the prosecutor replies. "And you don't have to be a prolife activist to see that." 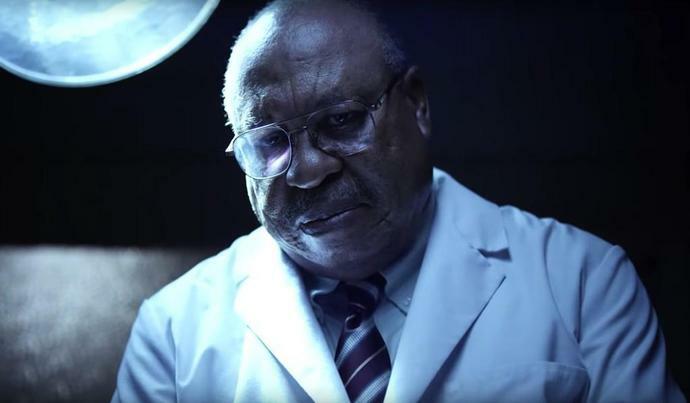 Gosnell may not be a game changer in the overall abortion debate, but at a time when New York has effectively legalized late-term abortions and Virginia's governor argues for sweeping away restrictions on such abortions, the film is a valuable contribution in the vital battle to have an honest conversation about infanticide.